Whether you are caring for someone like an elderly parent, or you’re in need of care yourself, a power of attorney makes it possible for one person to make decisions on behalf of another. These decisions can include financial and medical decisions. There are two parties involved in the power of attorney process. There is the principal (also known as the grantor) and the agent (also known as the grantee). The principal, or grantor, authorizes the Attorney in Fact (the agent) through a power of attorney. The agent is ultimately responsible for making significant decisions that can be life-changing for the principal. For this reason, it is essential to nominate a trustworthy person. The nominated individual should act in the best interest of the person he or she is representing. A Power of Attorney gives the ability to someone to make decisions about finances, healthcare, and other personal matters. This person can also make recommendations for appointing a guardian. Executing decisions on behalf of another individual can present a limitless number of issues. If you are unfamiliar with the Power of Attorney forms, you may end up filing the wrong documents. This can have unintended consequences in the future. Below, we have listed the most common types of Power of Attorney. A General Power of Attorney is the most common type. This version allows the nominated individual to make just about all decisions on behalf of the principal. These decisions include managing personal finances as well as opening new financial accounts. However, a General Power of Attorney ends when the principal becomes mentally incapacitated and unable to make decisions on his or her own. A Durable Power of Attorney, on the other hand, takes effect when the principal becomes incapacitated. Therefore, when a General Power of Attorney ends, a Durable Power of Attorney makes it possible for the representing agent (or a new agent) to continue making decisions well after the incapacitation takes place. As its name indicates, this type of power of attorney gives the agent special powers or privileges. For example, a Limited or Special Powers of Attorney might give the ability to the agent to sell a home on behalf of the principal. However, he or she may not be allowed to make decisions about healthcare. This type of Power of Attorney restricts the kinds of decisions a person can make due to its exclusionary nature. A Springing Durable Power of Attorney is effective immediately when the principal becomes incapacitated. Therefore, unlike a Durable Power of Attorney, a signature is not required as it becomes effective immediately during the event of incapacitation. The requirement for a signature is what makes a Springing Durable Power of Attorney different from a Durable Power of Attorney. A Durable Power of Attorney requires a signature for it to become effective, whereas a Springing Durable Power of Attorney does not. It’s important to discuss who will make critical life-altering decisions with a loved one. While this may seem like a conversation that is only relevant to older individuals, the truth is that accidents happen and some of those events can render someone incapable of making decisions on their own. For example, a severe accident can put someone in a coma and cause them to have the inability to care for themselves, much less make decisions about their own well-being. Of course, discussing Power of Attorney becomes even more critical if you are in the process of estate planning. As you are planning other aspects of your life, such as choosing your heirs, decide which person you’ll appoint for making decisions about your life if you are no longer able to make them on your own. If you are caring for elderly or sick parents, be sure to have this conversation while they are still lucid and aware. A search on the Internet may yield some quick solutions for Power of Attorney forms. It may seem like just another downloadable legal document that can be done in less than an hour. 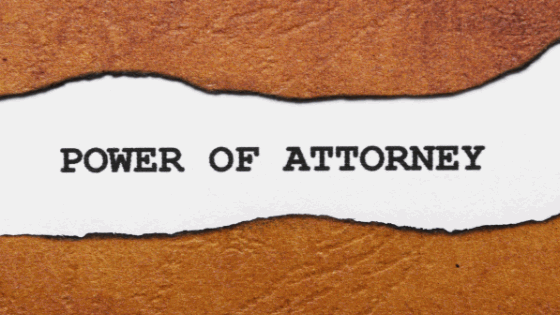 Keep in mind that a Power of Attorney document places a great deal of responsibility and power on a single person. If you are the principal, you want to be sure that you are clear on the types of decisions that the agent will be making on your behalf. You want to be sure that you trust this person to execute the kinds of decisions that are in line with your own desires and values. If you are the agent, you want to be sure that you understand your role as the agent. Enlisting the help of an attorney is not always necessary when drafting a Power of Attorney form. It is up to the individual to consider his or her own unique life circumstances. However, because any number of errors can be made on these forms, errors which can have unintended consequences, obtaining legal advice from an experienced estate planning attorney is always a prudent choice. If you are considering drafting a Power of Attorney form, contact us today for a free consultation.